& Search For Lost Treasure! Yo Ho! A Pirate’s Life for Us! Listen up ye landlubbers & scurvy dogs! It’s time ye joined our pirate crew! 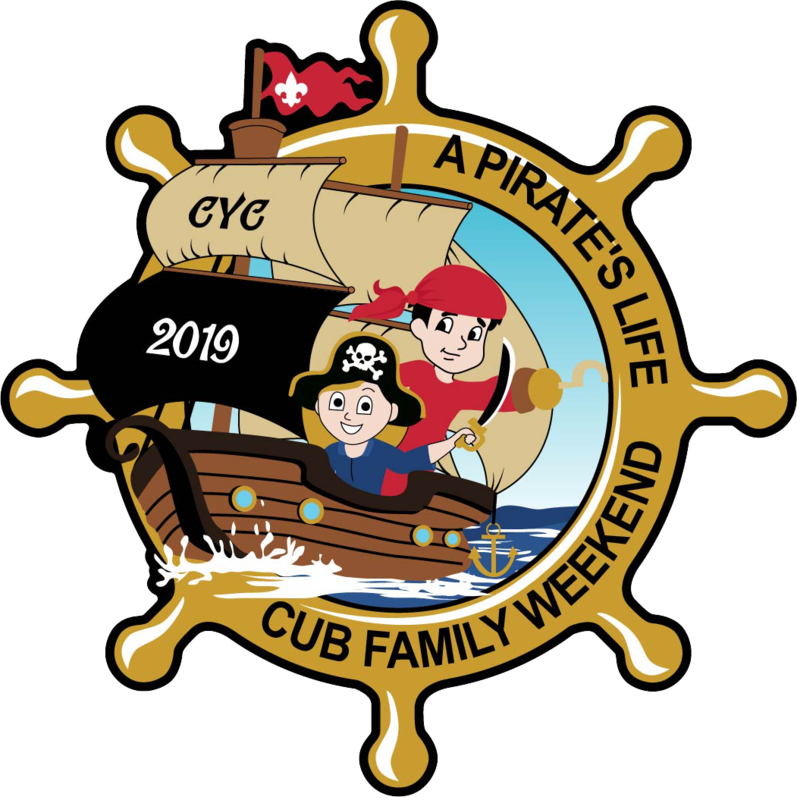 A weekend full of pirate challenges & deeds for the whole family. Don yer pirate costume & cast off on a Pirate Quest. Survive a desert island shipwreck, sword fight black-hearted fiends, sing shanties, hear tall tales of crews long past, partake in skullduggery & treasure quests. Solve riddles, defeat traps, and learn to speak fluent pirate, as we explore the secrets of Camp. Spend the day shooting archery, playing sports, taking nature hikes, BB guns, & doing crafts. At Deer Lake Scout Reservation enjoy swimming, canoeing, kayaking, and at Hoyt Scout Camp enjoy a huge inflatable water slide! At the end of the day, gather around the campfire & sing pirate songs. The price includes patch, meals, and an all-day schedule of camp activities presented by our talented staff dedicated to giving you a weekend of family memories to cherish. Dive beneath the ocean depths and experience a whole new world! 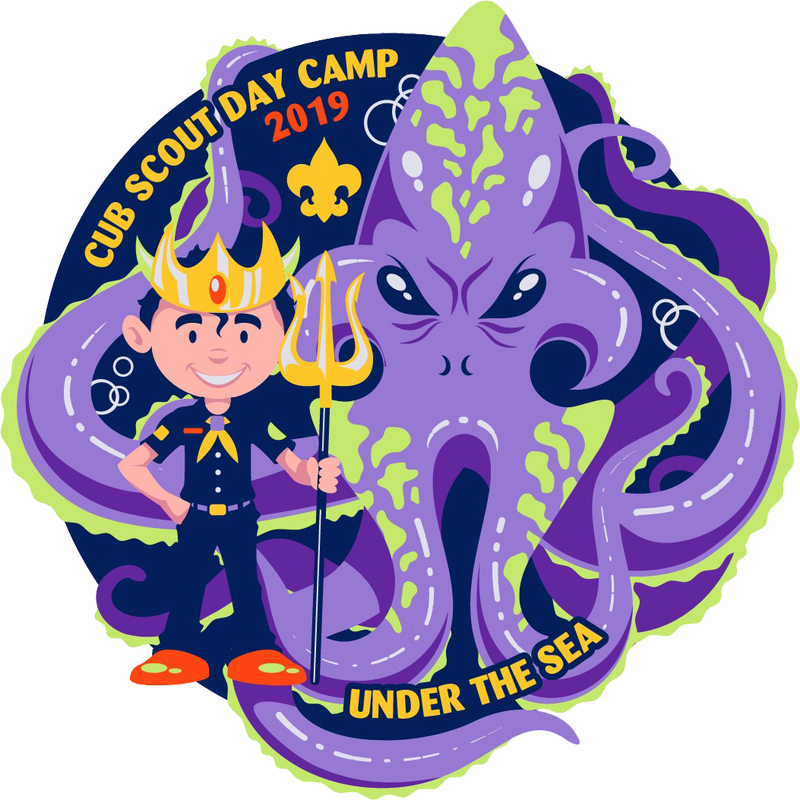 Trust us, your Scout will O-fish-ally be hooked on Cub Day Camp. Throughout the week campers will explore the unknown mysteries of the deep, discover lost cities, and ‘sea’ what interesting creatures swim below. Day camp is a week-long (Monday-Friday) camp held at six different local facilities around our council. Cub Scouts can participate in many types of activities including archery, sling shots, BB’s (select camps), field sports, nature, STEM, Scout skills, crafts, advancement, and more. Camp price includes a T-shirt (extras available), water bottle, and patch. A talented trained staff leads all camp activities.